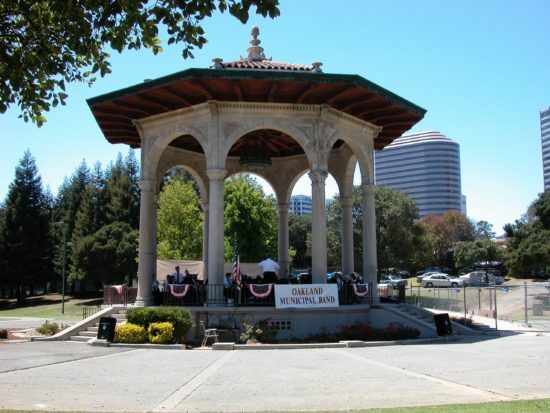 The 107th concert season of free performances by the Oakland Municipal Band kicks off on with a July 4th concert and continues on Sundays throughout the summer. The energetic conductor presents educational information about the various pieces being performed. In this way, they stimulate and nurture an interest among the audience in live music. This is to encourage the younger members to pass on this tradition to future generations by playing live music. All concerts start at 1 pm and last until 3 pm. Bring a lawn chair or blanket, and a picnic lunch, and join in for the 107th season.